It seems like Sydney goes into a mini-hibernation on Good Friday, before launching into the hopping good fun of the Easter long weekend. But all is not lost – or should we say 'closed'! Here are some fun ideas and venues open for business this Good Friday to keep you and your little ones occupied. The Purplebricks Sydney Family Show at Moore Park and the Sydney Royal Easter Show are two of our top picks for Good Friday. While everywhere else in Sydney may seem a bit dull, these two epic Easter events definitely don’t slow down! There is petting zoos, carnival rides, carnival-style food, showbags, entertainment, music and more – guaranteeing you the best Good Friday around! The stunning Watsons Bay Boutique Hotel is not only the best place for kids and families to spend the Easter long weekend, but it's a darn good way to spend Good Friday, too! There will be a Pancake Parlour from 10am with FREE pancakes for the kiddies. There is also face painting, an Easter egg hunt and Easter Bunny Olympics (you'll need to grab tickets for the last two). Enjoy this incredible beachside location with the family. Spend your Good Friday in the comfort of plush seats with boxes of salty popcorn and the best part… entertained children! If you're keen to make Good Friday a super quiet one, prepare your own microwaveable popcorn, a great DVD, and maybe some chocolate treats, and have a family day/night in. A night in with a great flick sounds like absolute perfection to us, especially with the cool weather coming in fast. Chinatown will still be hustling and bustling this Good Friday. Take the kids to the ever-exciting yum cha experience, and have an indulgent day of dumplings and san choy bau. We recommend Marigold for an authentic and delicious Chinese feast. Make your Good Friday delicious with a trip to the Sydney Fish Market! This is their BIGGEST day of the year and will be open from 5am to 5pm. With Sydney’s recent abundance of rain, fresh seasonal fish will be plentiful, in particular: Tiger Flatheads, Octopus, Sea Mullet, Yellowtail Kingfish and Ocean Jacket. As per tradition, the Easter Bunny will bring seasonal cheer with a special appearance from 11am, passing out chocolate Easter eggs to little shoppers. Go and pick up some fresh seafood, enjoy a meal at one of the restaurants or just have a day out with your family. Better yet, go fishing with the kids yourself – read our tips before you go off to sink a line! Make the most of all the amazing attractions Sydney has to offer by visiting one this Good Friday! Are sea creatures your thing? Check out SEA LIFE Sydney Aquarium at the stunning Sydney Harbour for some all-Aussie marine life, including sharks, penguins, rays, tropical fish, dugongs, platypus, sea dragons and more. If you’d prefer something on dry land, why not check out Taronga Zoo or WILD LIFE Sydney Zoo? WILD LIFE has an awesome open-air rooftop enclosure for a really up close and personal experience. These days out will create memories to last a lifetime. 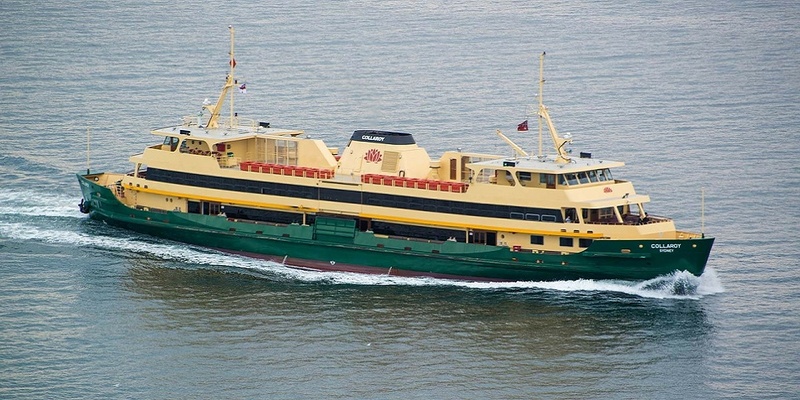 Rug up and use this exciting mode of transport to travel somewhere like Taronga Zoo or Manly. It doesn't matter where really, because this is ideal for little boat-lovers. Check out the Opera House and Harbour Bridge, and maybe dine at one of the gorgeous restaurants along Darling Harbour for an adventurous day that celebrates the very best of our city. Just check the ferry timetable for any holiday changes. Some more fun activities with kids this Good Friday include ice skating at Macquarie Ice Rink, visiting Luna Park or The Grounds of Alexandria for some farm animals and delicious eats, and a trip to Paddy's Markets. To make Good Friday night that little bit more exciting, maybe order some takeaway, too. For those who want to really relax on the weekend, you'd better stock up! Takeaway sales are banned in NSW, with pubs and hotels only permitted to open until 10pm. Small bars are not allowed to open at all, but there will still be a few places around to grab a drink, including The Winery, The Glenmore, Brew Pub Manly, Newtown Hotel, Archie Rose Distilling Co in Rosebery and Dolphin Hotel in Surry Hills. There's also Three Williams in Redfern, which serves booze with meals. It's not the best day for shopping because the following centres will be closed for trading: QVB, Westfield Pitt Street, Westfield Bondi Junction, Broadway Shopping Centre, Supa Centre Moore Park, Westfield Warringah Mall, Chatswood Chase and the Macquarie Centre. Remember to stock up on Good Friday goodies too, because the biggies like Coles, Woolworths, ALDI, Liquorland and Dan Murphy's will be closed. We do hear that Maloney's Grocer in Coogee, Surry Hills and Woollahra will be open if you've run out of milk!